As many of you will know one of the must attend conventions in the UK for me is Elevate (co-hosted with COPA and Elite Sport Expo), it is a great conference that is aimed at all those involved in the world of physical activity, sport and health promotion. I have been attending this event for a number of years and am very happy to be a media partner. I have been attending the event for a number of years and loved it every time, there is always a great range of speakers and sessions on and some great opportunities for networking. All this pulled together with a load of interesting companies presenting the latest in tech, products and services aimed at the sector. 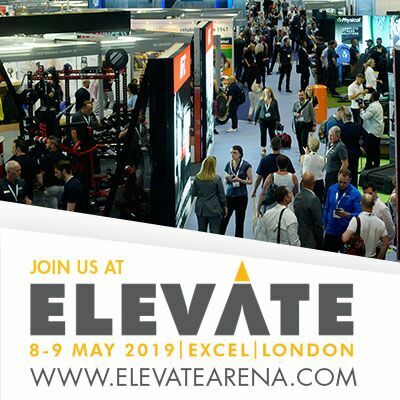 The event is on 8th and 9th May at ExCel in London, If you want to know a little more about the overall event see my review of Elevate and also sister event Elite Sports Expo. As always my main aims at Elevate as with any other convention are two fold. Firstly of all I want to get my learn on, and listen to as many experts in their field as possible and absorb as much of that knowledge, skills and behaviours as I possibly can. This is a massive part of helping to keep me current and updated on all the latest industry trends. Secondly I like to network, one of the things that I have found is that attendance at Elevate and other conventions like it (see my list of the UK’s best fitness conventions) allow me to get some time with people that I might not get to speak to regularly. This helps me to really strengthen some of these relationships and also meet as many new people as possible. So I look forward to catching up with some old friends and also making some new ones. If you are new to networking have a read on my guide to networking at conventions. So what am I looking forward to at Elevate, here are a list of the sessions that I will be attending over the two days. There are so many other talks and sessions on across the two days from a massive 300 speakers, so it is well worth having a look at the full programme, here. There is sure to be a few things to appeal to everyone. If you are coming along to Elevate and would like a catch up or to go to a talk just reach out on social! If your not going, I have one question… why not. Have a look at the Elevate website here and see what you get for FREE.. Yes this is a free convention!